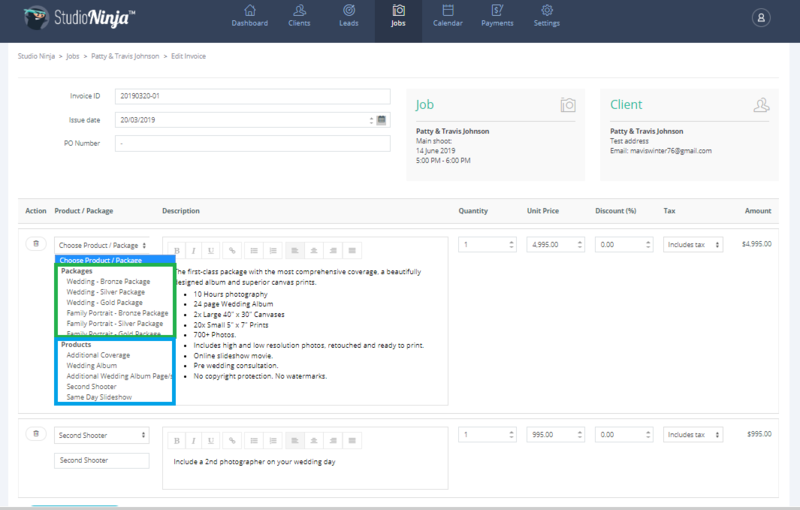 Learn how to create products and packages that can be quickly added to your invoices and quotes. This is where you will input your products and packages into Studio Ninja. 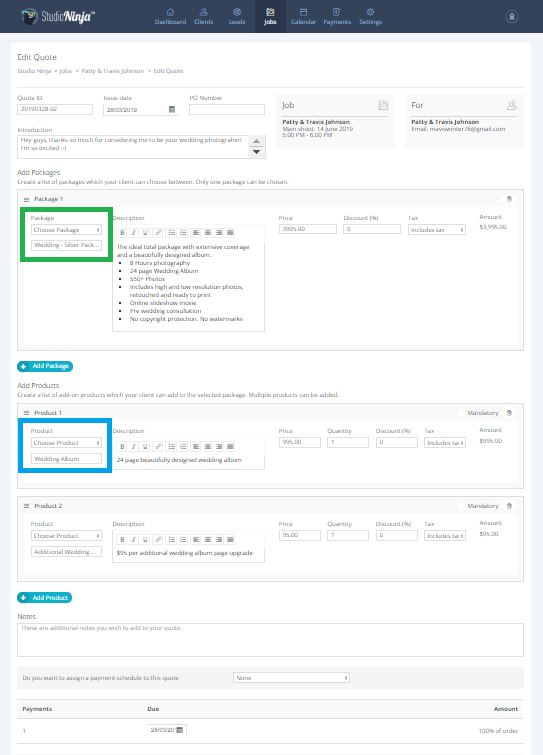 You can create a list of different packages which your clients can choose from or create a list of add-on products that your clients can add to their selected package. You can also add a short introduction to give a quick instruction or to simply say thank you. 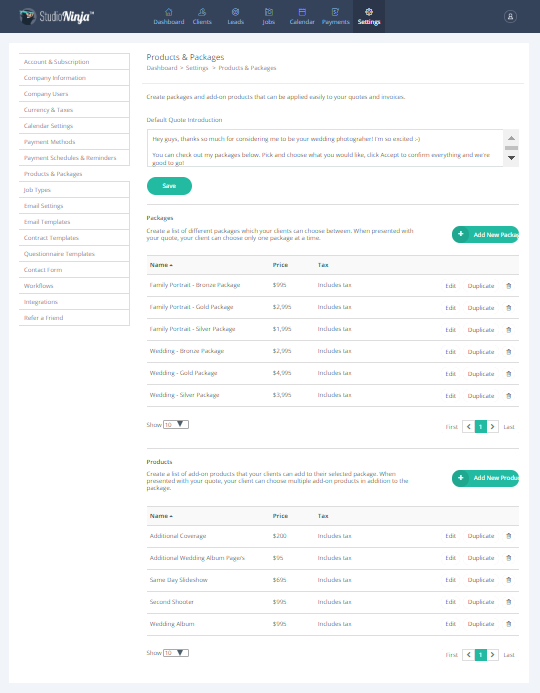 All the products & packages that you add here will easily be accessible from a drop down menu when you're creating invoices and quotes. Click here to learn how to create and send your first invoice and here to learn how create and send your first quote. Note: On the invoice page, the products & packages can be found in the same drop down list, whereas it's separated in the quote. Click the links above to learn more about the quoting system. To add a new packages click the green 'Add New Package' button'. Tax: choose if this package includes tax, excludes tax, or has no tax. To add a new packages click the green 'Add New Product' button'.